Complete Automotive is the leading choice for Cadillac service in Springfield. In fact, drivers pass several other auto repair shops just to reach ours. From the moment you enter our facility to the moment you drive away, you will be treated with the utmost courtesy and respect. 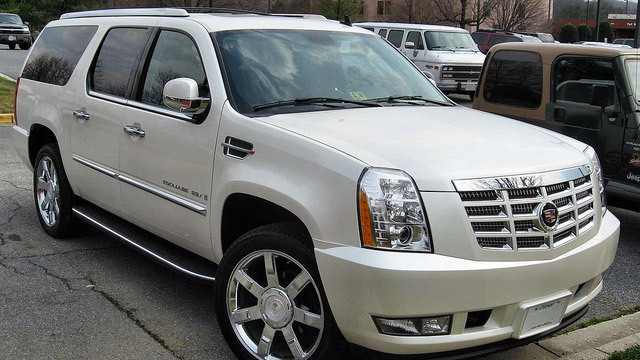 Your Cadillac is a luxurious vehicle, and it requires service to match. Fortunately, our team of auto mechanics at Complete Automotive in Springfield have many years of experience in the service and repair of these vehicles. To stay abreast of the automotive industry, they attend training sessions and wield tools and technology to match their level of expertise. If you are looking for a capable auto repair shop to service your Cadillac in Springfield, you are in the right place. “The gang at Complete Automotive have never let me down. They are always professional and think of the customer first. I trust them when they tell me that something needs to be done to my vehicle 100%. The shuttle service makes it very easy for me to drop my vehicle off in the morning and pick it up when I am off work. Thanks, Complete Automotive!! !” -- Josh T.
At the end of the day, our team at Complete Automotive in Springfield genuinely cares about you, your family and your vehicle. Each auto repair we recommend is geared toward preserving the safety and longevity of your vehicle. From a minor oil service to a complex transmission repair, we are the ones you can count on. For Cadillac service, schedule an appointment online, call us, or stop by our auto repair shop at 2238 E. Chestnut Expy. in Springfield, MO, 65802.